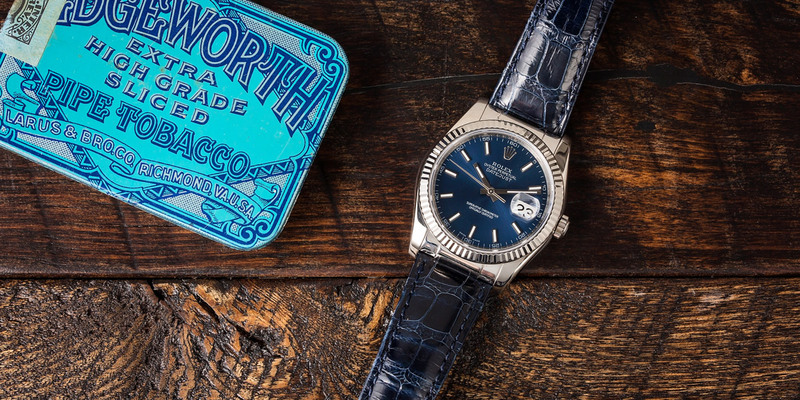 There are few watchmakers as iconic as Rolex, and few models as beloved as the Datejust. The mid-20th century classic defined the modern watch we know today, making features like a three-hand dial and the date standard. Over the years, the Datejust has been remodeled and refined – along the way, being worn by presidents and the rich and famous alike. And while collectors might scramble over certain models, you’re also bound to find them wearing their very own Datejust 116139. This 18k white gold Datejust is a modern take on this timeless classic – outfitted with striking features like the trademark crystal Cyclops date and a 36mm waterproof Oyster case. It’s these dignified features alongside modern additions that make this watch almost as iconic as its maker. 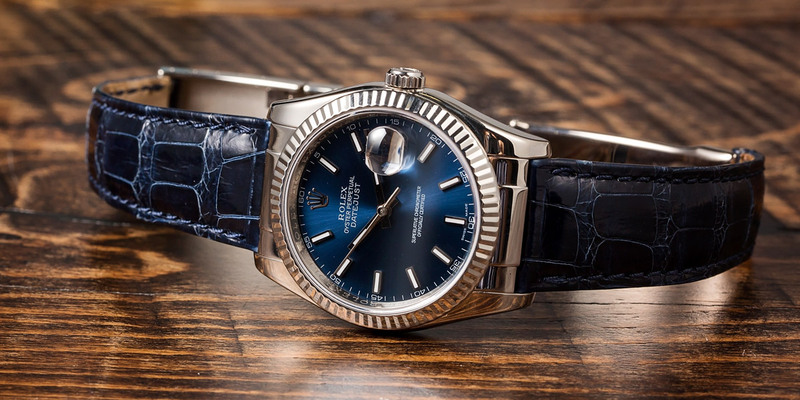 The Datejust is a classic dress watch. The Datejust changed what we expect from a watch forever; yet, we seem to forget how revolutionary this stunning watch was. 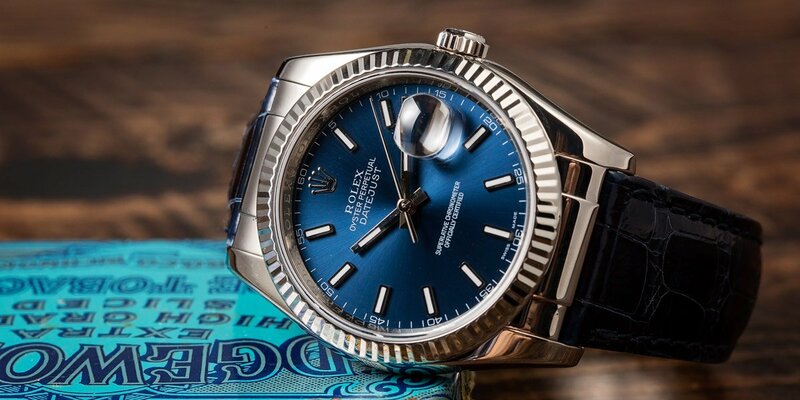 Back in 1945, the Rolex Corp. revealed the first DateJust in celebration of their 40th anniversary – the date-changing mechanism inside making it the first automatic wristwatch of its kind. Today, we take this handy feature for granted. But upon looking at a modern Datejust 116139, it’s impossible to lose sight of this watch’s timeless allure. Since the 1940’s, there have been many variations of the Datejust watch. But the Datewatch 16139 pays special homage to the 1950’s and 1960’s Datejust with its 36mm size and classic features like the dial layout, a crystal scratch-resistant Cyclops date, automatic winding, the signature waterproof Oyster case and a satin-smooth 31-jewel movement. The smaller face gives the watch a vintage appeal, yet the shoulders of the case are much broader than the design it was inspired from. It’s this delicate juxtaposition of substantial design and classical features that make this an everyday watch that still turns heads. It is a Rolex, after all. While the Datejust 116139 is simple in appearance, the design is truly elegant. 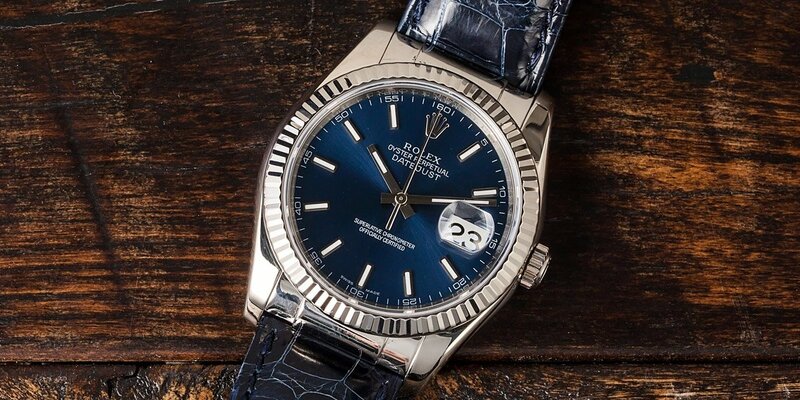 This watch comes in many dial types, colors and various bracelet selections – including the Jubilee, which was launched with the original Datejust. Over the years, it’s the innate versatility and elegance of this watch that has made it the choice of the rich and famous both in the boardroom and out on the golf course. But while the DJ 116139 might be modeled off of some of the classics, the inside of this watch is completely modern with a 3135 caliber movement that’s COSC (Swiss Official Chronometer Testing Institute) approved with a 50-hour power reserve and 31 jewels. The modern Datejust 116139 is also fitted with a proprietary, state of the art amagnetic hairspring which allows for greater resistance to shocks and extreme temperature changes. On the wrist, the Datejust 116139 is a fantastic watch for any occasion. If you’re looking for an everyday watch that still oozes with luxury, a Datejust 116139 should be your top choice. This modern classic is the ultimate combination of performance and style, effortlessly bringing together world-class design with cutting-edge mechanisms. The Datejust 116139 is the kind of watch that can easily transition from daytime to date night or from the office to the court. And whether you have a hefty collection of luxury watches or you’re looking to make a first-time investment, we can guarantee this watch will feel so good on your wrist you might never take it off – you certainly won’t need to. The Datejust 116139 comes with a 18k white gold case and a dazzling blue dial. What are your thoughts?